The summer I was 7 or 8 years old, I discovered a hiding place in our front yard. Between the tall green bush and the cool brick exterior of our house, there was a hollowed out space and a brick ledge that I could sit on, out of the sun, and just daydream, and no one knew I was there. I used to dream about being The Empress in the movie The Never Ending Story. I was fascinated by the fact that she was so young and beautiful, yet so wise and powerful. I wanted to be just like her. I found new girls to love from books; The Strawberry Girl, Laura Ingalls from the Little House books, Sara Crewe from A Little Princess, Mary Lennox from The Secret Garden, and of course, Anne of Green Gables. I had great role models! I loved the adventures these girls had. I longed for an adventure of my own, some great quest that was so much bigger than learning Sunday School lessons, multiplication facts, and slogging through the daily mess of disagreements with friends and trying to remember where I put my shoes. As the years passed, I would move on to new daydreams, replacing myself with the girls in the books I read and movies I watched. I remember becoming obsessed with the movie Somewhere in Time. Jane Seymour who played the lead could not have been more beautiful. I wanted to find my own beauty like hers. A beauty that would move a man to travel through time to find me. My dreams of romance, beauty, and adventure grew, but at the same time, I was learning to hide these deep desires of my heart. The world isn’t kind to feminine hearts, and mine (like all) got bruised and wounded. Once I had to stay back from a party my grade was having because I couldn’t complete a math assignment. How stupid I felt! My sixth-grade crush was embarrassed that I liked him, and he didn’t return the feelings! Humiliating! I failed to make the dance company at my high school. That one still makes me sad. My early bruises and wounds were of the usual variety that most women experience. Some young girls have devastating and life destroying wounds that seem overwhelming. One has only to read the newspaper or watch the news for these kinds of examples. As I matured and loved even more deeply, the wounds became even more piercing. The deep womanly desires became matched with profound soul-harrowing losses. I was disappointed, discouraged, and at times rooted in loneliness. Where did you lose heart? What are the experiences that made you hide your heart? To protect it? And why am I asking you to answer these questions? The reason is this: We still have those deep core desires! To play an irreplaceable role in a great adventure! These longings are universal! Why else the enduring popularity of movies like Casablanca, Gone with the Wind, and Sleepless in Seattle? These hungers of the heart were placed there by a God who loves us more than we can fathom for a great and important purpose. His soul expanding love for us is the motivation for these yearnings, but along the way as we walk on this earth, these desires are frustrated and disappointed by the world we live in. This is true for every woman on earth. Every woman who has ever been alive has been hurt. Ever it was, and ever it will be so. And here is another truth for you: The tragedy is not that our hearts have been wounded. The true calamity is that we come to believe lies about ourselves as a result of these wounds. Lies that an enemy is so glad that we believe. And then we act on those lies. We are in an adventure, though we may not know it. An adventure that will take all of the talents, beauty, brains, courage, love, and integrity that we all have deep within to come out victorious. But victorious we will be! “Finally my (sisters), be strong in the Lord, and in the power of his might. 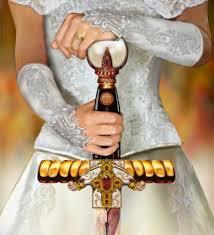 Put on the whole armor of God, that ye may be able to stand against the wiles of the devil. For we wrestle not against flesh and blood, but against principalities, against powers, against the rulers of the darkness of this world, against spiritual wickedness in high places.” Ephesians 6:10-12. I welcome you to the Heart of a Woman blog. The blog posts will be based on the three core desires of a woman’s heart mentioned above. The Heart of a Woman is a group of women who feel inspired to minister to women concerning their hearts and what to do with them! We take the three core desires (with permission) from the book Captivating by John and Staci Eldridge. We encourage you to read and think about this book as it applies to your feminine heart. The pinnacle of our ministry is our annual three-day retreat where we work on these principles through presentations, silent time with God, loving sisterhood with other women, and other experiences where we can learn how to let God fulfill these core desires in our hearts! We so hope you will join us through reading this blog, commenting if you feel moved or have something to add, and by traveling to our retreat and taking part in the joy of letting God renew our relationship with him! We may not know you yet, but we at The Heart of a Woman love you, pray for you, and want God’s love for all women everywhere. Kristy, that was beautiful! I agree that the tragedy isn’t that we have been wounded, but the way we curl up in balls around those wounds and fail to seek the Master Healer to help touch those places. That is one way the retreat has helped me, it points me towards my Savior and His love and healing. Through relationship with God, I am shown where those lies are and I’m able to break some of those agreements with the enemy. Wish this were a one and done process, but in this journey I find that if I can go daily for healing I don’t end up with such horrible wounds. I can spot the lies quicker, see the patterns and old story unfolding. Thanks for the reminder and can’t wait to see your next post! !